Thom Rickert of Trident Public Risk Solutions discusses the future of ensuring risk in smart cities. This article was originally published on January 10, 2019 in Public Risk Magazine. Imagine living in a city in which technology makes it possible for sight-impaired citizens to “see” sidewalks and building entrances. Or a city in which your commute time is slashed by 20 percent thanks to digital signage and mobile apps that recommend the most efficient mode of transportation. 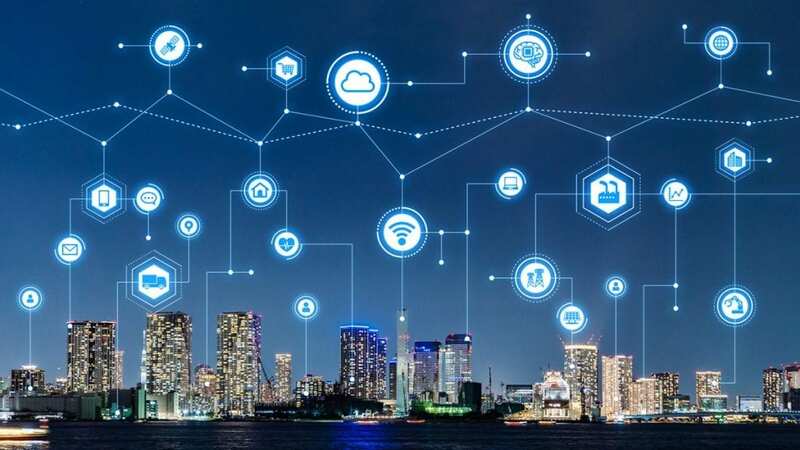 As smart-city technology gains momentum, cities are at a critical juncture between the legacy technologies of the past and the interconnected infrastructure of the future. Now more than ever, it is crucial for community leaders to understand that smart cities will change their risk landscapes dramatically – and not just insurable risk. Planners need to incorporate assessment of smart-city technology deployment into their existing enterprise risk management plans to ensure all facets integrate with their overall strategies. What does this connection look like in practice? First, a modern communications network powered by 5G must be deployed widely. 5G is the foundational technology for the Internet of Things (IoT). It is high speed (10 to 100 times faster than 4G), high bandwidth (to handle a massive load of devices) and very low latency (which is the delay between data being passed between devices). Second, the power of the smart city is unleashed by IoT – devices that can communicate with each other to allow communities to interact and be informed by the very infrastructure that surrounds them. Smart cities use IoT for applications as diverse as public safety (such as sensors that detect potholes in the road), mobility (e-scooters that address the last-mile issue and ease traffic congestion), and city services (smart garbage cans that know when a bin is full and needs to be emptied) – to name a few. And, according to a smart-cities study by McKinsey Global Institute, smartphones are the new keys to the city, connecting with IoT devices to give citizens instant access to information about transit, traffic, health services, safety alerts and local news. The benefits of smart cities can’t be ignored. Their biggest advantage can be summed up as quality of life. I will let the statistics speak for themselves: According to the McKinsey Global Institute study, which analyzed dozens of current smart-city applications around the world, smart-city technologies on average reduce fatalities by up to 10 percent, emergency response times by up to 35 percent, commute times by up to 20 percent, the disease burden by up to 15 percent, and greenhouse gas emissions by up to 15 percent. As millennials flock to cities in pursuit of opportunities, governments are being forced to better manage limited natural resources, focus on environmental sustainability, and include a broader swathe of the urban population in public services. At the same time, a rising need for efficiency is driving demand for smart-city solutions across health, transit, the sharing economy, utilities, public safety and city services. For instance, according to a survey conducted by Argo Group, 74 percent of insurance brokers believe autonomous vehicles will reduce the frequency and severity of accidents – resulting in safer cities. The comprehensive metadata gathered by IoT devices helps governments monitor events as they happen, identify patterns, and respond quickly and economically, which is more important than ever as urban populations expand. But the risks and challenges are as significant as the benefits. Smart-city technology has moved out of the lab and is being tested and deployed, which naturally entails uncertainty and a few bumps in the road. The risks for the insurance industry alone are real – for example, current policy terms and conditions are not clear on many loss scenarios, given the newness of IoT and the relative lack of data to identify long-term patterns. The starting point, when using an enterprise risk management framework to support the goal of improving the quality of life and drive economic sustainability in the community, is to answer the question, Will deploying smart-city technology help us achieve that strategic goal? The answer to that question will set the stage for answering the questions how, when and who? Once the stage is set, then details of strategy, governance, enablement and technology can be explored in detail. Second, cities should deliberately foster a risk-aware culture that considers both the positive and negative risks associated with smart-city technology. They should bake risk awareness into their plans and timelines, identifying where exposures exist and paying particular attention to emerging technology that may affect today’s risk decisions. And, most important, they must break down departmental silos that inhibit effective technology integration and critical feedback loops. Do we have the expertise to understand the risks associated with smart-city technology? If not, how do we gain the expertise? Are all departments included in the risk assessment process? Have we modeled the community’s desire for smart technology and incorporated that feedback into prioritization of development? How will public-private partnerships and federal and state funding affect our risk assessments? How do we build trust so citizens feel safe and comfortable about the city collecting their data, as well assuring the data is anonymous and protected? How do we assure equitable distribution of the technology and its benefits throughout the community? How resilient are we? Do we have a continuity of operations plan? Integration is an important part of planning and assumes its own set of risks. How will the public and private sectors work together? How do cities integrate new technology with legacy infrastructure that has yet to be replaced? And, most important, how do we integrate smart-city technology into our strategic risk management plans and our overall visions for our communities? The stakeholders in smart cities must understand fully the implications of deployment before they even consider deployment itself. Inclusiveness and transparency are key components to gaining civic trust. The insurance industry has a role to play in helping communities transition to smart-city platforms. Claims expertise and thought leadership are important, because insurers can partner with local governments to share their understanding of tactics that can be taken to support efforts to mitigate risks presented by new technology. It’s not just about damages, claims or a checklist – it’s about all the pieces of the risk puzzle and how they fit together. The insurance industry has to continue to educate and prepare itself. It must be able to provide smart-city risk management techniques, which will entail a fundamental shift requiring new solutions. The industry must recognize that smart cities present the potential for drastic loss shifts. For instance, there is a potential for lower frequency and severity of auto liability (according to the Argo Group survey, 47 percent of insurance brokers see software malfunctions as one of the biggest opportunities when it comes to covering autonomous vehicles). The narrow category of auto liability loss shift will cascade to other lines, including workers’ compensation, health and life insurance, and auto physical damage. These changes will come from just one smart-city segment – vehicle-to-infrastructure (V2I) and vehicle-to-vehicle (V2V) technology. Consider then all of the other segments in which property losses could be more severe as a result of high-value connected networks. Tech-enabled infrastructure will be more expensive to repair or replace. There will be a shift in perils (e.g., lightning, cyberattacks, programming defects, water intrusions, etc.). Privacy risks will expand due to the vast amount of data being collected: Are we prepared for a dramatic increase in claims regarding privacy? The losses surrounding safety and security may shift from active to passive, such as automatic critical software updates. Once these risks are factored in, the industry can focus on the exciting opportunities smart cities offer by modifying existing insurance products or creating new ones in construction, general liability, cybersecurity, property, professional and auto. These products can integrate carrier risk control technology with smart technology to drive analytics, resulting in reduced losses and a framework for predictive underwriting. Thom Rickert has enjoyed a 35-year career in the insurance industry and is currently with Argo Group U.S. as an emerging risk specialist. Rickert has extensive underwriting and marketing experience in all property and casualty lines of business, spanning multiple segments and industries. He has been responsible for implementing corporate compliance and efficiency projects, and he has served as a business leader for technology solutions in policy administration, underwriting, channel management, and business development analytics. 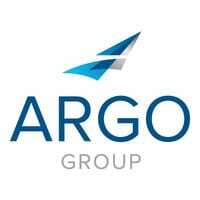 Argo employees in Houston describe their office’s energetic atmosphere and dynamic culture.